Bella has been with us for about 3 weeks now. 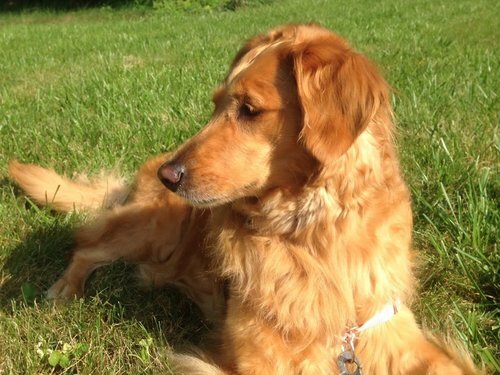 She is a very sweet and well mannered 9 year old golden. She knows all the basic commands, doesn't counter surf or sleep on the furniture. She was an only dog in her previous home so will entertain herself with toys or bring you a ball to play fetch. Her vet visit went well, weighs in at 68 pounds and has no health issues. She will have one more vet visit for her Lepto booster. Once that is complete we will start the search for her forever home.